The daily stresses of life can be difficult to navigate, and sometimes you may find yourself struggling with mood swings. These highs and lows can take a toll on your life, your career, and your relationships. For a natural solution, you may want to try increasing your magnesium intake. For the most part, mood swings are the product of hormones and neurotransmitters, which transmit information throughout the various areas of the brain. More specifically, three main neurotransmitters have a direct affect mood: GABA, norepinephrine, and serotonin. As daily life takes a toll on your mental and physical health, you can end up with depleted levels of serotonin and other vital chemicals in the brain. Magnesium is important to your health in many ways. It is an essential mineral that plays a role in over 300 enzymatic processes in the body. Several of those processes can affect neurotransmitters that are linked to both insomnia and depression. 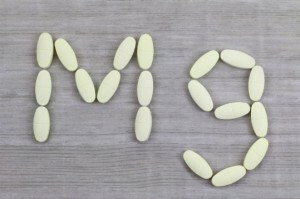 There are many types of magnesium, but for purposes of health and wellness, there are two that you need to focus on: magnesium chloride and magnesium citrate. Magnesium chloride is the purest form of magnesium that you can obtain. It is found on the sea floor in crystal-like flakes when at room temperature. However, it melts down into an oil-like form when in contact with the skin. A popular use for it is adding it to bath water for the deep relaxation it induces. Magnesium citrate is a combination of citric acid and magnesium that can be readily absorbed into the body. This is the most common form of magnesium supplement. In an analysis by George Eby Research of case histories using magnesium to treat major depression it was found that a correlation exists. There were case histories that showed a rapid recovery within seven days from major depression using supplementation of 125-300 milligrams of magnesium at each meal and again at bedtime. Other related illnesses, present in these same case histories, included: traumatic brain injury, suicidal ideation, irritability, anxiety, insomnia, alcohol or tobacco abuse, postpartum depression, hypersensitivity to calcium, short-term memory loss, and IQ loss. It was also found that dietary deficiencies of magnesium in combination with excess calcium and stress were linked with additional symptoms, including anxiety and agitation, irritability and confusion, sleeplessness, delirium and hallucinations, headache, and hyperexcitability. 1. Magnesium can be easily incorporated into your diet by including magnesium-rich foods, such as kelp, almonds, molasses (in moderation), brazil nuts, millet, pecans, cashews, and buckwheat. 2. Include a high-quality magnesium supplement twice a day at mealtime. Some good options are Magnesium Amino Acid Chelate, Liquid colloidal Magnesium, Magnesium Chloride, or Magnesium Citrate. WARNING – Do not take Magnesium Oxide, as this can form Magnesium Hydroxide in the body and burn the intestine walls. 3. Avoid eating large amounts of gluten, refined sugar products, and cheap table salt, and also try to avoid prolonged stress, as these can all lead to a depletion of magnesium in the body. 4. Lastly, consider using magnesium oil and applying it topically to the skin after a shower or before bed. We recommend Magnesium Infusion from Activation Products. Your bones will love you, your brain and heart will reward you for ensuring this super cellular fuel is topped up all day. Click here for more information on Magnesium Infusion. Hey Buddy!, I found this information for you: "Feeling Moody? You May Need Magnesium". Here is the website link: https://www.thealternativedaily.com/moody-magnesium-supplement/. Thank you.